New York-born actor who starred in the Jason Reitman-directed film Men, Women & Children as well as the 2014 horror film Unfriended. Other film credits include In Time, Abduction, The Collection and Time Freak. 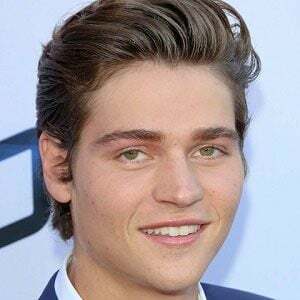 He grew interested in acting after reading scripts with his actress sister, Nicola Peltz, whom he appeared in Marie Claire Magazine with in 2017. Early in his acting career, he appeared in an episode each of HBO's Entourage and NBC's Medium. He is the fourth child of Claudia Heffner and Nelson Peltz; he has seven siblings plus two half-siblings. 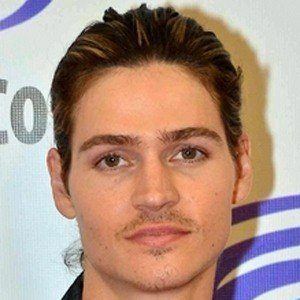 He began dating model Kenya Kinski-Jones. He was featured in the film Paranoia, starring Liam Hemsworth, Harrison Ford and Gary Oldman.